A MUST SEE, FULL OPTIONS! Code zero, spi asymmetric new condition, gennaker. The new Hanse 505 replaces the previous 495 model, it sets innovative trends in the key areas of design, functionality, technology, performance, luxury and safety. Its elegant exterior design and the best cockpit in its class sets new standards and takes the "easy sailing" concept even further. The new Hanse 505 not only sets trends, it's concept will also set standards in the future. 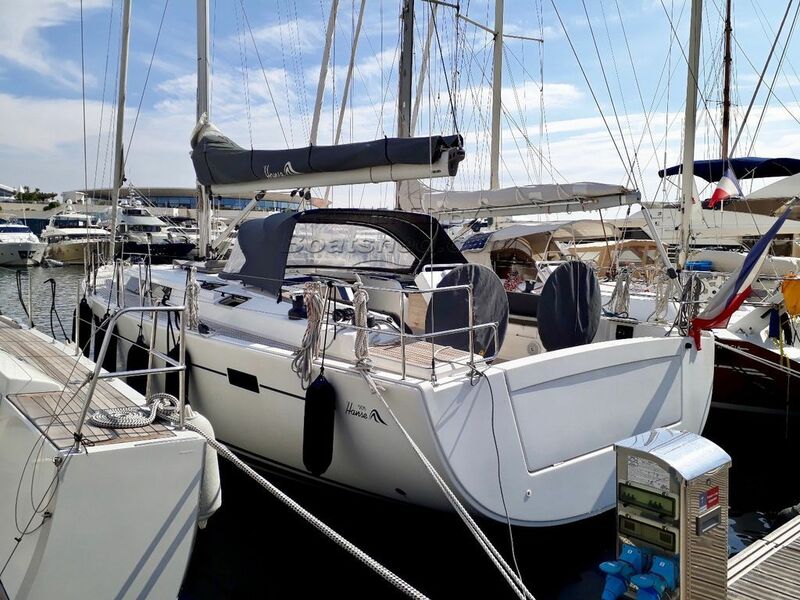 Italian Interior oak, Pack Confort, Pack Navigation, Generator Panda, A/C, bow truster, option "full deck".. This Hanse 505 has been personally photographed and viewed by Antoine Perrin Daragon of Boatshed Riviera. Click here for contact details.